Let’s break through barriers in life, said Oto Nemsadze, representative for Georgia at the Eurovision Song Contest 2019. Eurovoix got the chance to speak with Oto right before the show at Eurovision in Concert last Saturday, April 6 at the AFAS Live concert hall in Amsterdam. We had some time to talk about his experience so far with Eurovision, the best things about his homeland, and the message of his song “Keep on Going”. Oto’s song might come across as emotionally intense, but he’s a bit of a joker at heart. We asked him about his fondest Eurovision moment so far and instead told a little story about his flight to Amsterdam. He loves meeting his fans, however, and has enjoyed feeling the love and support from all around the world. He also wants Eurovision fans to know that his home country, Georgia, is a wonderful destination for tourism. His pride for Georgia extends to his song, “Keep on Going,” which will be sung at Eurovision in the Georgian language. Oto tells us that this decision is something close to his heart. In the end, what he wants to say with his song is that humanity has the potential to be better than what it is today. Oto will sing “Keep on Going” at the first semi-final of the Eurovision Song Contest 2019 in Tel Aviv on May 14. He is one of 17 acts vying for 10 spots for the Grand Final on May 18. Thank you so much to Oto, the Georgian delegation, and the Eurovision in Concert team for helping make this interview a reality. 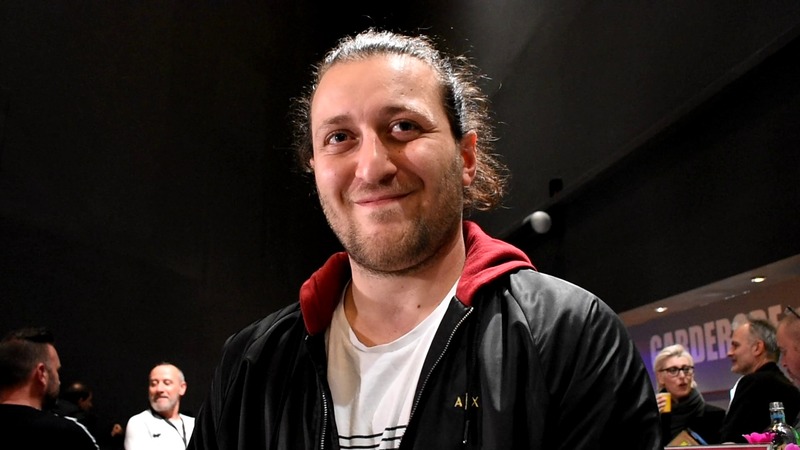 Oto Nemsadze will represent Georgia at the Eurovision Song Contest 2019 in Tel Aviv. Oto who was born in Gori is no stranger to competiting in televised contests. He first came to public attention in 2010 after winning the 5th season of Geostar. In 2013 he went on to finish 2nd in The Voice of Ukraine. In 2017 he attempted to represent Georgia at Eurovision as part of the group Limbo. Georgia debuted in the Eurovision Song Contest in 2007, they were represented by Sopho Khalvashi and the song “Visionary Dream”. Sopho finished 12th in the final scoring 97 points, the song received 12 points from the televoters in Lithuania. Georgia has only ever missed one contest since their debut, this was in 2009 when they had selected Stephane & 3G with “We Don’t Wanna Put In”. The EBU asked for Georgia to rewrite the lyrics of the song or change the song completely.